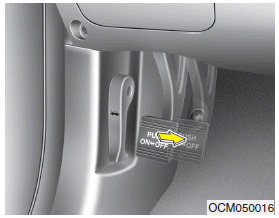 To prevent unintentional movement when stopped and leaving the vehicle, do not use the gearshift lever in place of the parking brake. 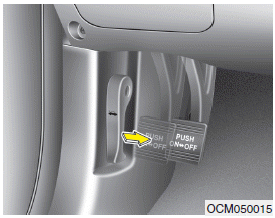 Set the parking brake AND make sure the gearshift lever is securely positioned in P (Park) for automatic transaxle equipped vehicles. 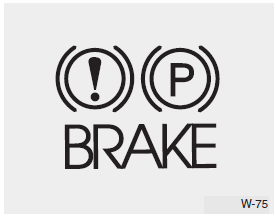 If the brake warning light remains on after the parking brake is released while engine is running, there may be a malfunction in the brake system. Immediate attention is necessary.